Check out our new app Pet Noises. Ever wanted your pet to make noises? Try out Pet Noises! This app makes many noises for many pets. Just play a noise, and your pet will respond. 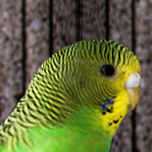 Pet Noises is used by many pet owners around the world. If you are a pet owner, then Pet Noises is the app for you! Download Pet Noises here.